we loved designing all of Aaron and Melanie’s stationery – it was a magical wedding. We used the fairytale style monogram from the wedding invites we created and carried this all the way through to the finishing touches on their special day. 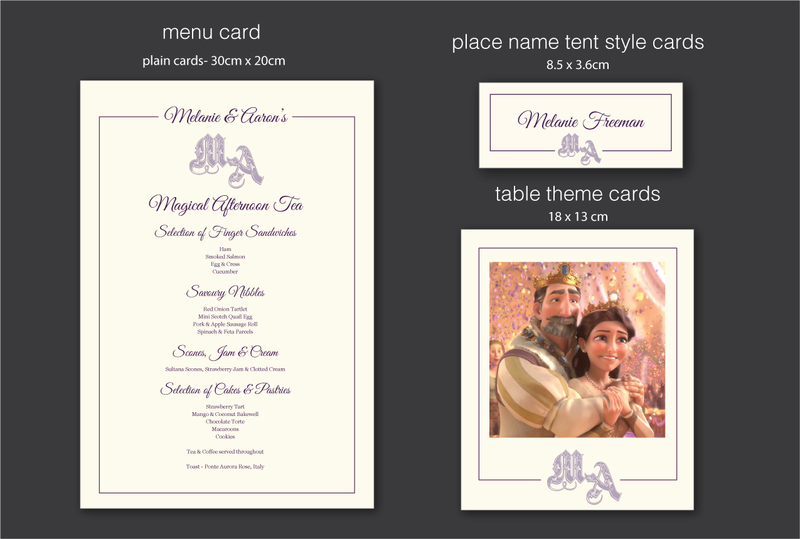 They had a tangled theme and asked us to use images they sent us for each table all taken from their favourite movie.